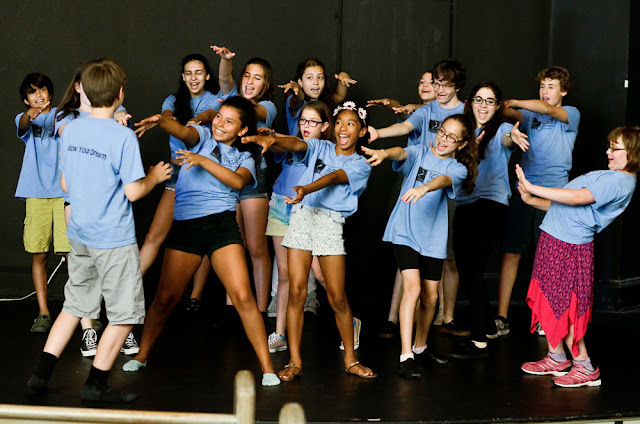 Dreamcatcher Repertory Theatre, professional Theatre in Residence at the Oakes Center in Summit, will hold its Dreamcatcher Junior summer theatre program for students entering grades 5 through 12 from July 9 through July 27, 2018. Dreamcatcher’s program is a three-week theatre experience which combines training, in which students build skills and study with theatre professionals in a variety of subjects, with the opportunity for students to create and perform their own play. The program will be held Monday through Friday from 9:00 a.m. to 3:00 pm (with a special performance July 27 at 7:00 pm) at Dreamcatcher’s home at the Oakes Center, 120 Morris Avenue in Summit. At Dreamcatcher Junior, we believe in having fun while developing real skills under the guidance of professionals. DRT JR is an enjoyable way for students aged 10 to 17 to explore their interest in the performing arts during their summer vacation. Students receive individual attention, constructive feedback, and the support needed to achieve their personal goals. In the first week, the ensemble begins to come together through classes and workshops in acting, improv, playwriting, singing and movement. These and other skills will be explored as the group builds the foundation for their creative process. The second week focuses on the development and writing of an original play, which will also include music and movement. Students have the opportunity to shape their own characters and performances, which might include new subjects explored in the first week such as stage combat and physical comedy. In the third week, the cast and their director, musical director and choreographer hone and refine their original work in preparation for its presentation on the final evening of the program. The cost of the Summer Theatre Program: Dreamcatcher Junior is $825 for all three weeks, with limited need-based scholarships available. Discounts are provided for those who register before April 15. Admission is on a first come, first served basis until the program is filled or until the deadline of June 1, and applications for Dreamcatcher Junior and more information on the program may be obtained by calling Dreamcatcher’s business office at 908-514-9654, emailing info@dreamcatcherrep.org or may be downloaded at www.dreamcatcherrep.org. Adult Playwriting Classes Begin this Monday! Auditions: Bergen County Players seek actor!